I'm embarrassed to say that I still think about my workplace bullying experience even now, five years later. I dreaded going to work because this person, who was between my boss and me, wanted to make me miserable. When I was first hired, the bully, B, told me that this office wasn't a place where a lot of finger-pointing went on. I should have realized that that was a warning: Finger-pointing, it turned out, occurred daily -- with me as the target, mind you. Often, mistakes were invented; if I did make mistakes, they were magnified. B defied logic. She also demonstrated a sort of Jekyll-and-Hyde type behavior. When I took initiative and did something unquestionably worthwhile, she attacked me. She screamed at me, red-faced, in front of my coworkers and changed the way things worked at whim so I often felt disconcerted. In the end, I quit. The HR person was a joke, not to mention a friend of the abusive B.
I still feel a certain degree of shame after all this time. I'm angry with myself for not telling her, tactfully, forcefully and eloquently, that I would not tolerate such behavior. In my mind then, doing so just would have caused further awkwardness and anxiety and, most likely, retaliation. But I feel that I never got any resolution by simply leaving the job. And I also feel a degree of resentment for all that I endured. I know that this person was a sad, threatened soul who should mean nothing to me and who shouldn't be permitted to enter my thoughts. But I still find myself thinking about it and feeling, for a moment, the same stomach-tightening uneasiness. 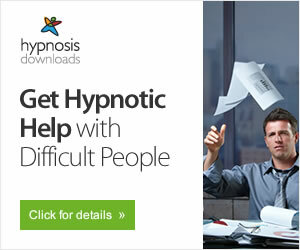 I feel for your ongoing effects from your workplace bullying. It doesn't make it any easier to bear, or to recover from when you hear people say that you are not alone. What it does do though, is remind everyone that workplace bullying is a systematic pattern of interpersonal attack and destruction and gets tolerated far too much. I still don't understand why employers and HR have a reluctance to stamp out abusive behaviour in the workplace. Is the only answer then, to bring in legislation - and that then brings its own set of issues and problems. I believe you are an incredibly strong person, who took the right step and removed themselves from that situation. You can't fight the issue, management and HR. You have to do what is right for you. You have to put yourself first. You did that and you are the stronger person for it. We all just need to keep raising this issue, and where we can - fight a legal battle and raise the profile in the media. Get people talking about it like we do now. Do it more. Get workers to stick together and say 'no more'. We need consequences for bullies - something that really doesn't exist at present. You did the right thing. Society needs to work together to address the larger issue. I would say that you shouldn't get too upset about not saying the 'right thing' at the time. I think that this is a common occurrence with people who have been harassed, otherwise none of us would be making a complaint in the first place! It is often much harder during the incident, or sometimes the articulation isn't there until later on. Also, the culprit is, more often than not, abusing a position of authority over a subordinate. Sometimes talking with a third party, or friendly outside person at the time can trigger the appropriate response. At least you know now that the person was out of line. Please don't get down. I also experienced this reaction to being bullied. Best regards, John. Very well put and eloquently stated. Having had a similar experience, moving on, is not as easy as one might think. For one thing, your life has been turned upside down, and everything you were before, is different, it's not so much that the bully matters anymore, but instead I think, it has to do with becoming the person you need to be, the person you should be. But, somehow, that person doesn't seem to be in focus anymore, it's almost as though you just don't want to be associated with, or, have anything to do with your former self, because, at least for me, that person feels dirty, shameful and most of all guilty for allowing the bullying to happen. Bullies relentlessly attack that which they can't control, and will use any means possible to fulfill their sociopathic reality. If you happen to be the unfortunate one to cross paths with a bully, then you will immediately understand the unimaginable nightmare you have entered, and can't seem to get out of. After you leave, or resign as I did, the effects still haunt you. You think, will I ever return to the person I used to be, energetic, able to enjoy the ups and downs of life, perform my work enthusiastically, without the constant fear of being attacked at whim, not trusting anyone? I believe it is possible, but a slow process, finding a listener, someone who you know truly understands how you feel and think, might be the most important part of the journey, as Shakespeare said, "Ah, there's the rub"
I agree with the other folks who posted. Don't blame yourself for being tactful and appropriate in how YOU handled the situations. If you had responded in the ways that you now wished you had, you would be embarassed with your approach. You were a professional in a non-professional environment. The memories of being bullied lasts a LONG time. This is as true for children who suffer bullying as it is for adults. Let's face it, bullying is an assault. It has lasting scars just as any assault does. We are just starting to bring the issue to public view. 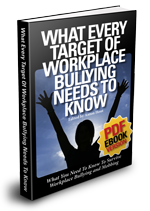 Years from now, we will wonder why we tolerated workplace bullying for so many years. It will seem as barbaric as smoking in an airplane - once a common thing until the age of enlightenment. Anybody who has suffered from bullying are encouraged to get therapy help. It is justified and usually helpful. The best and most wise advise of all was given by Jesus: Forgiveness. Forgive even those who do not deserve our forgiveness. Forgiveness for your own self-preservation. The 'Jekeyl and Hyde' description you have coined is a very insightful and apt one to describe the behaviour of a bully. I feel for you. I am going through this now. I recently quit a job and in this economy it was hard to do but the bullying and false rumors going around the workplace I was at was to much to bear. My supervisor was as you described Jekyl and Hyde. Another supervisor spread a rumor that I was gay even though I am straight. Other women started calling me names just loud enough for me to hear. My then supervisor started trying to get me in trouble with a higher up. She gossiped with other employees and it was so unprofessional and helped stir the problems for me. She played a major role in it. Then a higher up supervisor told me to just move on. I still feel very angry and hurt because I am a very good employee who causes no one any problems. I am now in a situation where homelessness is something I may be facing. When people say bullying and rumors in a workplace are harmless, they should think again. Moving on is very hard to do when you are facing the repercussions on their actions. They are still collecting a paycheck. I am not.